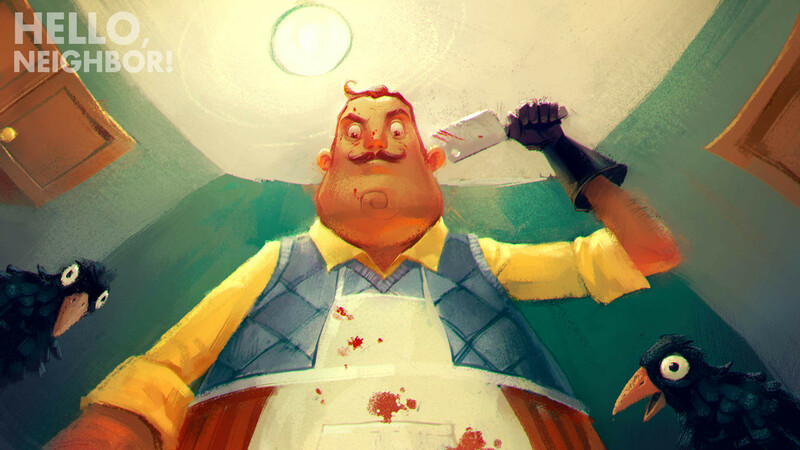 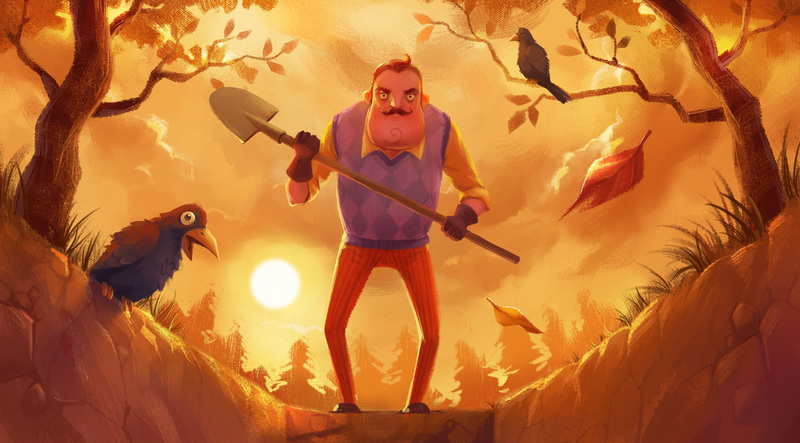 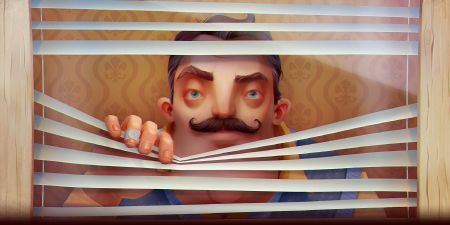 the Hello Neighbor compendium by the players, for the players. We are currently maintaining 742 pages (123 articles). 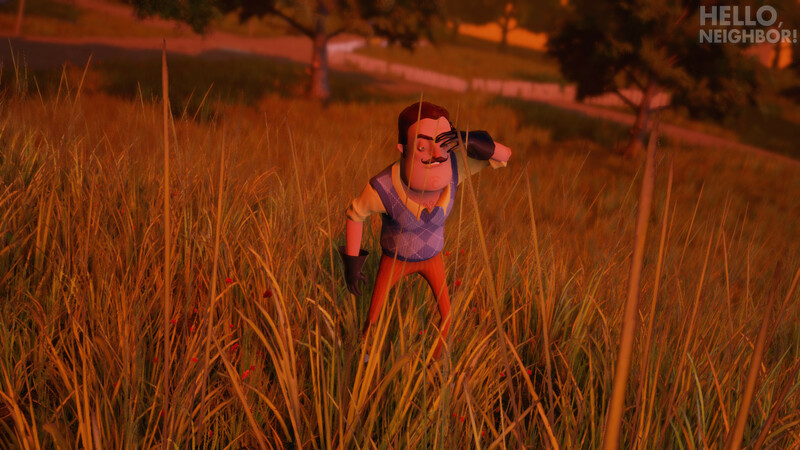 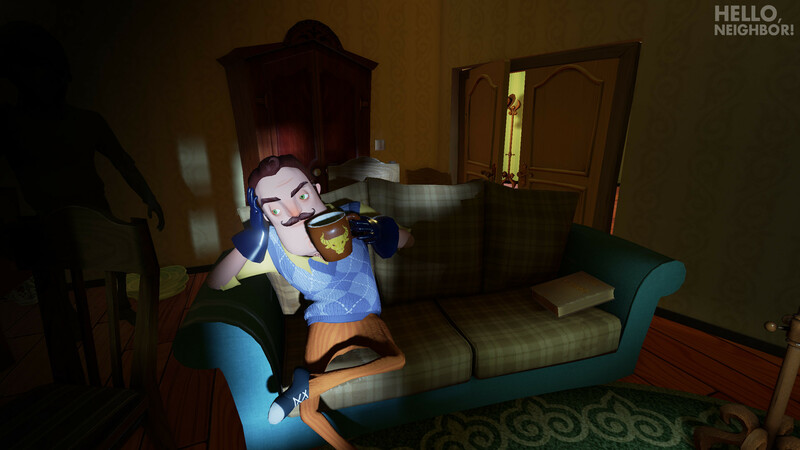 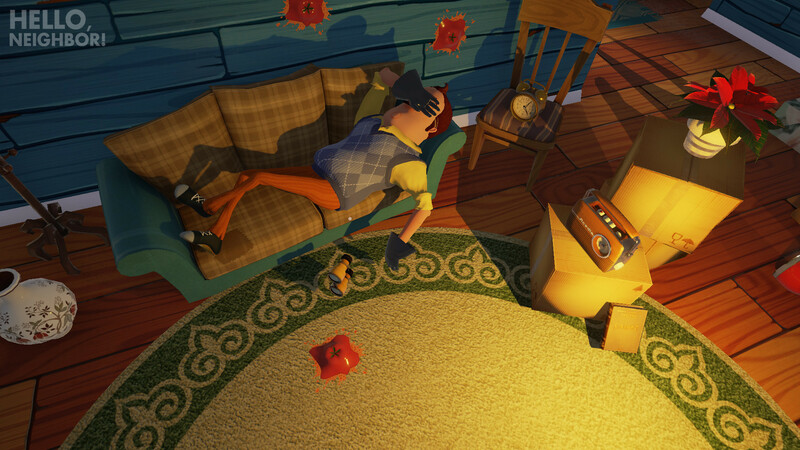 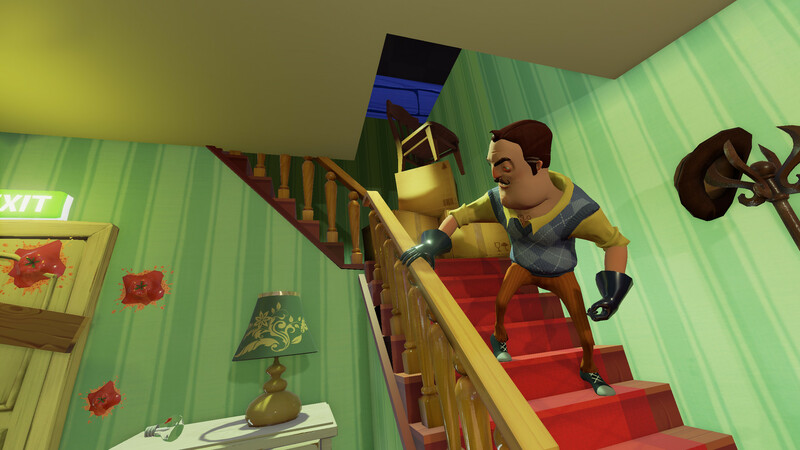 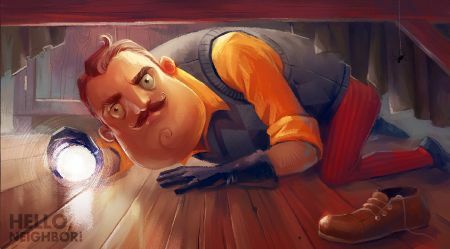 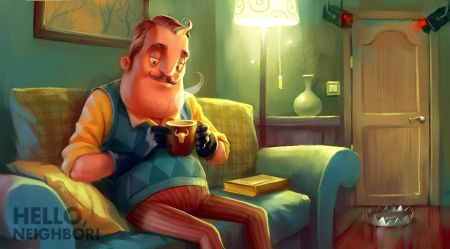 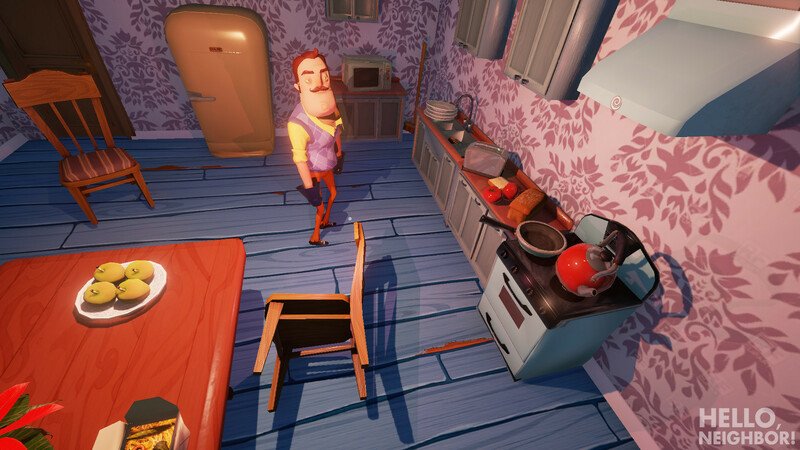 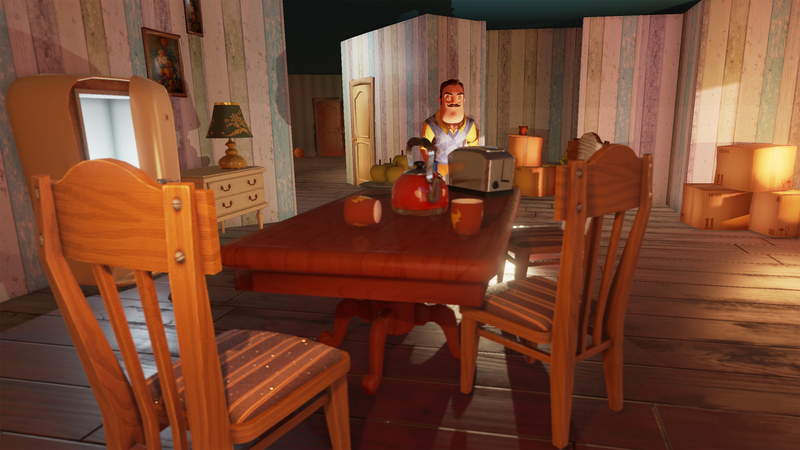 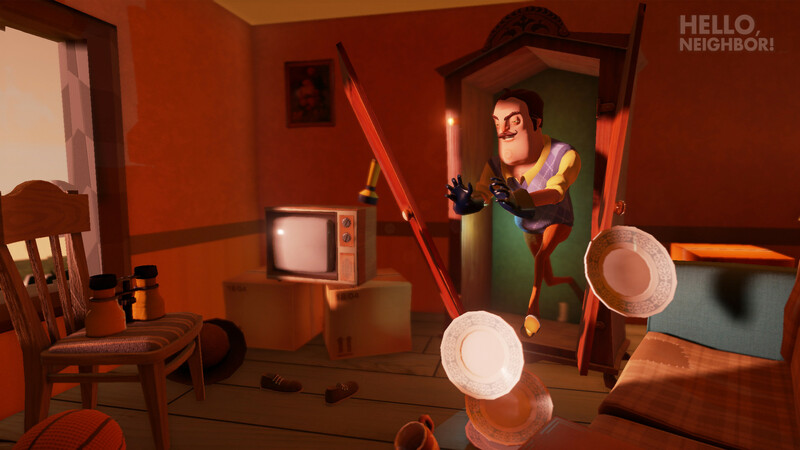 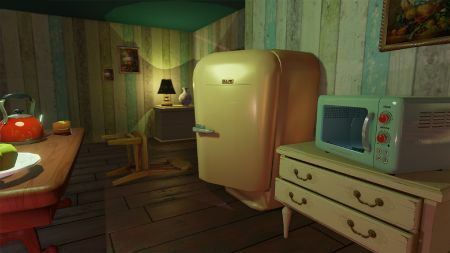 Hello Neighbor is a Stealth Horror Game about sneaking into your neighbor's house. 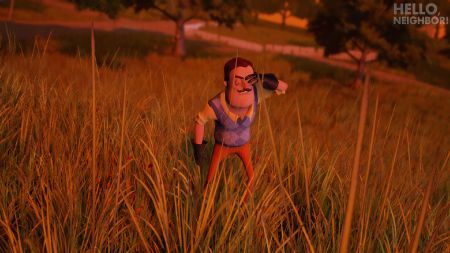 You play against an advanced AI that learns from your every move. 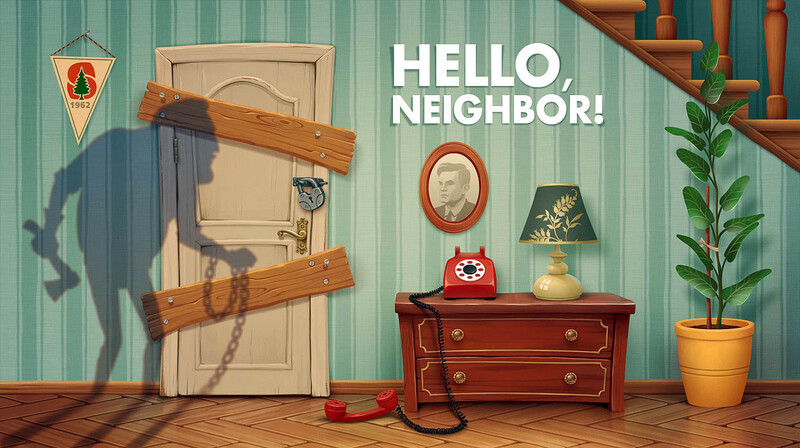 The Neighbor gathers all the information about the player's actions, decisions, movements etc. Having analyzed it, he comes up with counter-actions, traps and unique tactics against the player. 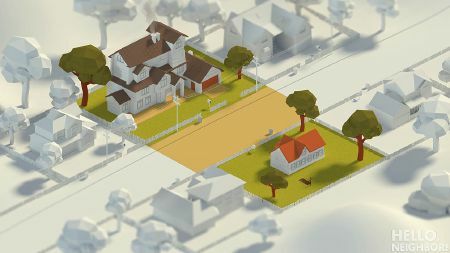 The more one plays, the more experienced the Neighbor becomes. 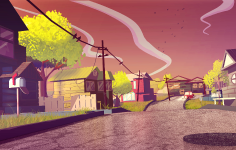 This page was last edited on 24 November 2018, at 06:01.